Ok, so I hate January. And February. And I’m not too wild about March, either. That’s because I live up Nord in Minnesota, you betcha, and while December is kind of exciting, by the time January rolls around, I’m just about done with it! But you know what I love about January? Pineapples! You heard me right! 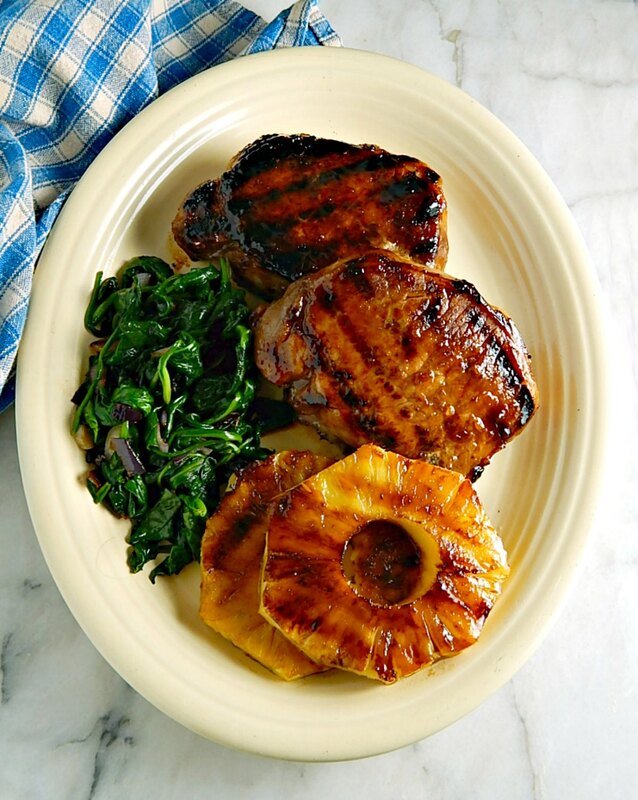 And I now love these Grilled Hawaiian Pineapple Pork Chops. 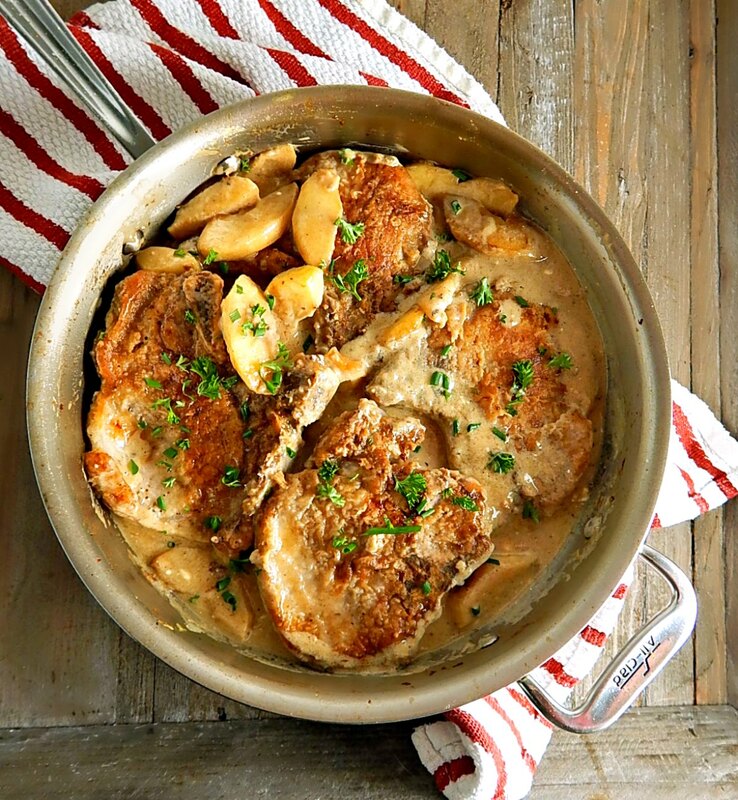 I really am not ready for summer to end – but I was a little consoled with this dish, Creamy Apple & Cider Pork Chops. Ya gotta love a recipe that tastes divine, looks great and is perfect for company but quick & easy enough to pull off on any old weeknight for family dinner! And it’s even better when it’s a dinner that’s so good you’ll want to lick your plate clean! I’m not sure if anyone ever told me how to make St Louis Pork Steaks. When you grow up in Iowa (I know I just blew my St. Louis Pork Steak street cred – Missouri is one state south and Iowa is a huge pork producer) or the Midwest, there are certain dishes you just know how to make. When I made this Instant Pot Pork Chop One Pot Meal the first time, we had just gone from a few lovely fall days to fall with a vengeance here in the Twin Cities. Windy, cold & blustery. My sister has been suggesting Spiedies for my blog for years, and I’ve been promising to make them just as long! Better late than never! If you haven’t had a Spiedie, you’ve been missing out. 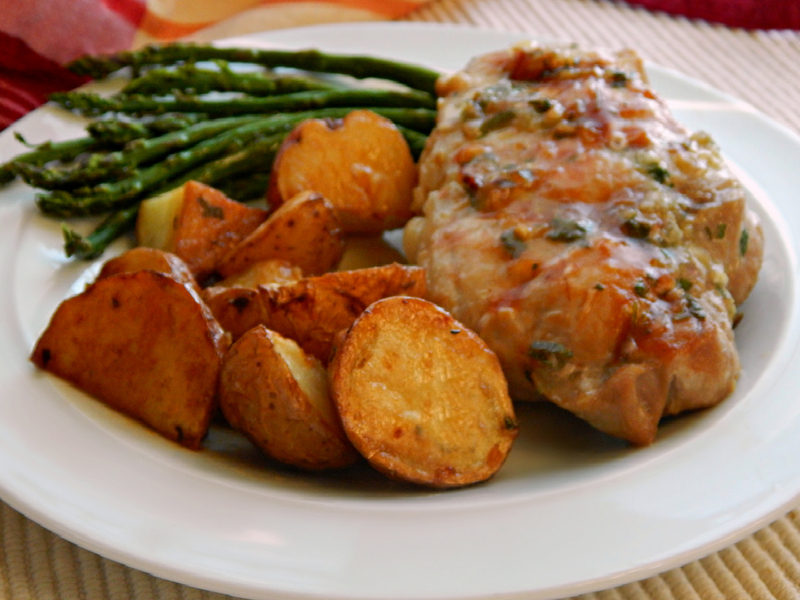 Tender, highly marinated chunks of Chicken, Pork or Lamb, skewered and then served on Italian bread or Italian rolls. Spiedies – these are pork but for chicken or lamb use the same recipe. 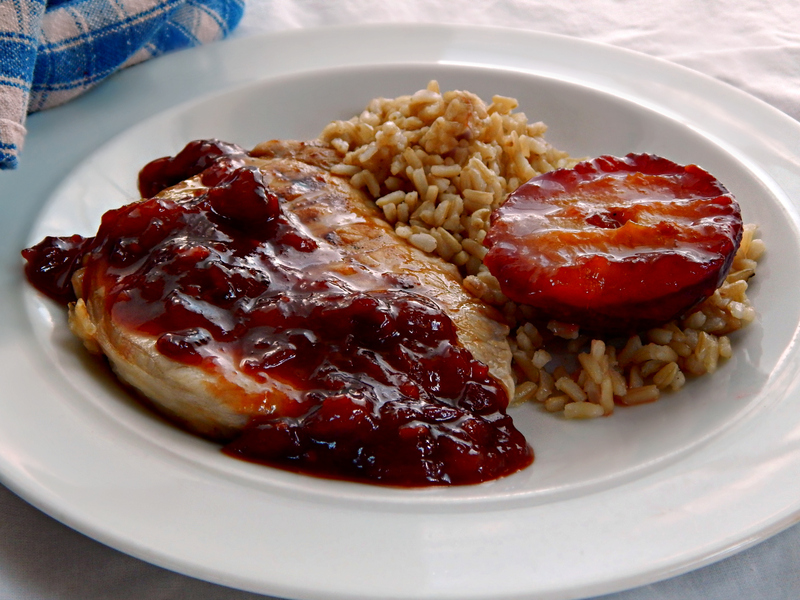 I think I might have a perfect end of summer meal for you: Grilled Pork Chops with Plum Compote along with Grilled Plums on the side. 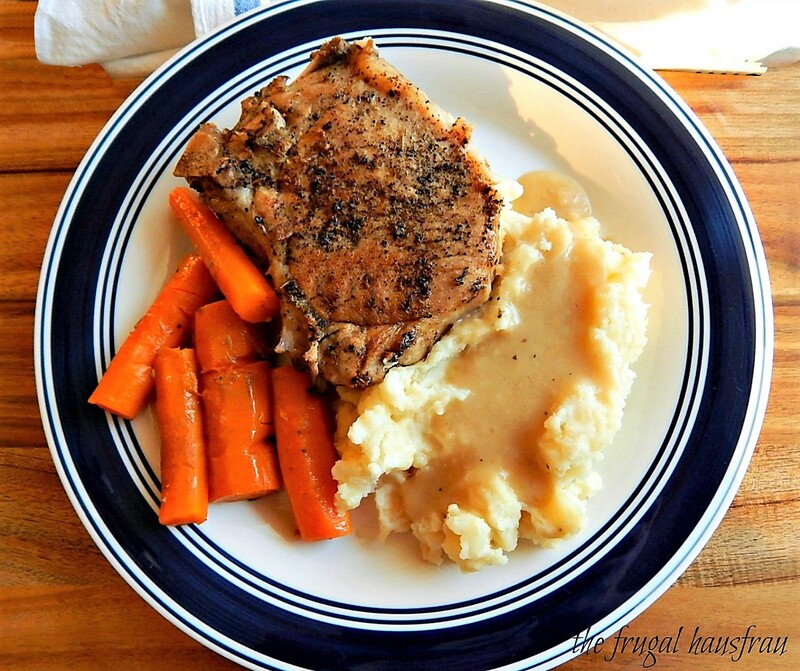 If you want to bring a meal in on a budget, it’s hard to go wrong with pork loin chops. Except they can easily be dry as toast if you’re not careful. Not these Herb Rubbed Beer Brined Pork Chops with Roasted Potatoes (and yeah, I know that title’s a mouthful!) They’re moist, succulent, tender and flavorful. You can have a plain old pork chop any day of the week, but why, when in a few minutes more you can pull off this gorgeous little dish and look like a hero? 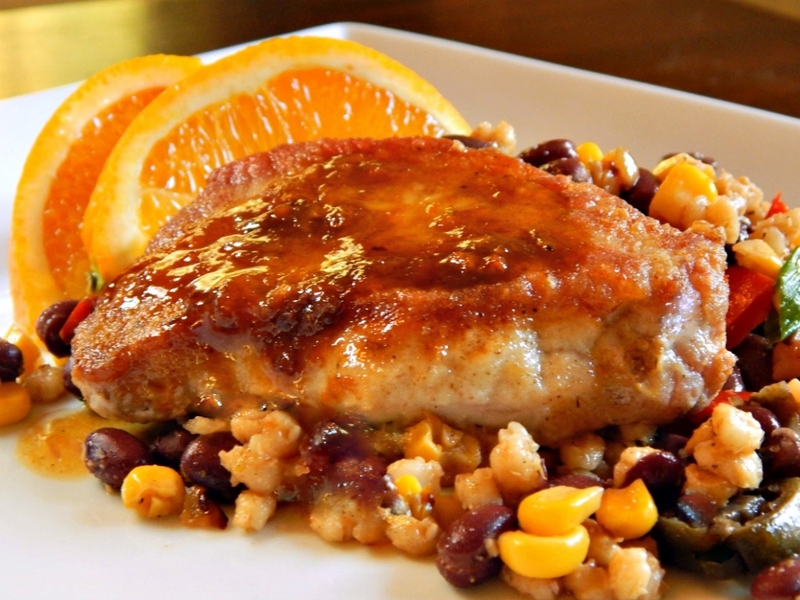 Cumin Dusted Pork Chops with Citrus Glaze are beautifully cooked pork chops served up in a garlicky, citrusy glaze tempered by the earthy cumin. The flavors in that glaze just pop. 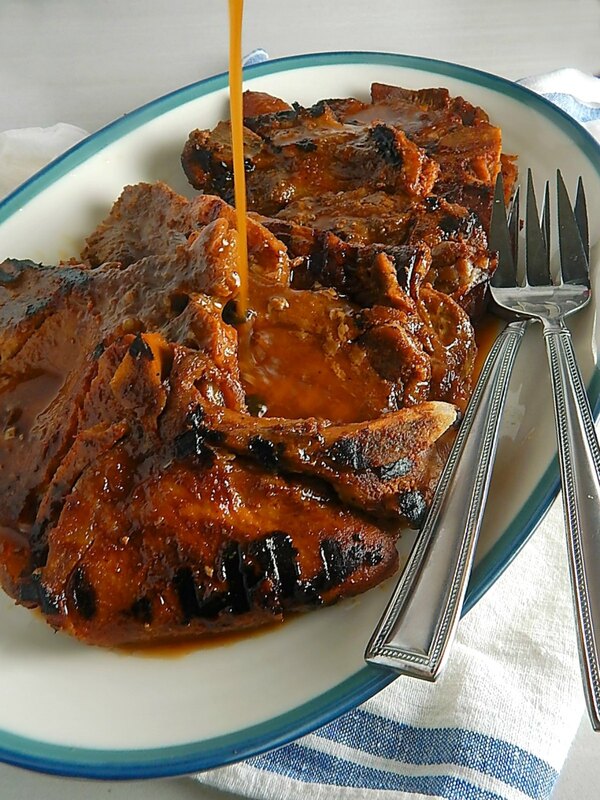 Down home cooking at it’s best and perfect for fall, these Cooks Illustrated Smothered Pork Chops in Onion Gravy aren’t your Grandma’s pork chops, or even your Mom’s. That is if your Mom was like mine and used a canned soup or a Lipton’s mix.